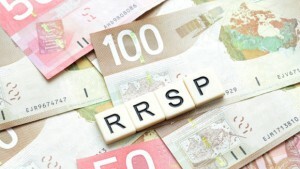 Home » Financial News » RRSP: Too Little, Too Late? RRSP: Too Little, Too Late? (TORONTO, ON) – When it comes to RRSPs, are you a tortoise or a hare? Were you the slow-and-steady tortoise, carefully plunking away retirement savings during 2014? Or were you the hare – now having to sprint because you were caught napping? Of those hares, in a last-minute mad dash to the finish, only 42 per cent have the funds for their contributions set aside. This is discouraging, but not surprising, to many financial experts. Jeff Schwartz, executive director of Consolidated Credit Counseling Services of Canada, recognizes the many pressures that are weighing on the average Canadian budget. Christina Kramer, the executive vice president of Retail and Business Banking for CIBC, agrees. Eliminate expensive debt. If you’re one of the 46 per cent of credit card users carrying a balance, focus on paying it down. Instead of continually making minimum payments and stretching out the lifespan of the debt, focus in on it and eliminate it as quickly as possible. Instead of padding your creditor’s pockets with interest payments, clear your debts and send that money toward your RRSP contributions. Automate and relax. Setting up a regular investment plan will allow you to automatically contribute smaller, more manageable amounts towards an RRSP. Not only is this a lot easier than coming up with a lump sum in February, it also allows your money to experience growth over the entire year. Find extra cash. Evaluate your budget and be ruthless if you need to. Since now is the time when many Canadians are looking at their 2014 taxes, it is also a good opportunity to look at spending. Go into your banking and credit card records and find out how much money went where. You may shock yourself with how much you spent on unnecessary items; tracking your spending and seeing it in black-and-white may be the only way to come to that realization. Reinvest your tax refund. 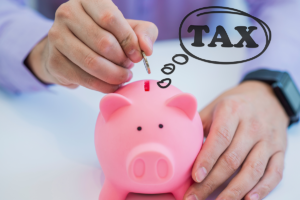 One of the biggest RRSP incentives is the enlarged tax refund that you may receive. Why not get one step ahead of the game and invest this year’s refund in your RRSPs. That contribution will be reflected in next year’s claim, and you can use the next refund to continue the cycle. Seek help. If you are struggling to free up extra money, or you feel like you’re drowning in debt, you might need a helping hand. Contact a non-profit credit counselling organization or speak to a financial advisor for professional help so that you can start making moves to make things right. Jacob MacDonald, Public Relations Coordinator, Consolidated Credit Counseling Services of Canada, Inc.
RRSPs: Don’t leave it til tomorrow!